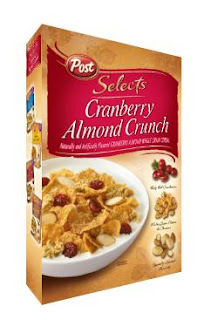 Starting Friday (August 14), there is a sweet catalina deal running on Post Selects Cereal. Roll this bad boy and you’re looking at a moneymaker. Thanks to A Thrifty Mom for posting the details on this deal. Does anyone know if this deal is still running at Albertsons? Yes just keep smiling. 🙂 and hoping. It is really stressful when they print out so slow. And yes Bonnie, one…then another….then another….thank goodness today I only had one of the three boys with me. Otherwise I am not sure my little guy would have waited the minute and a half! Anyway i have heard about the post selects being out of stock in some stores…just thought someone would like to know the 122nd/divison store and cully/flaval store both had lots today. I bought 4 post selects today, at Albies. Used 2 $1/2 coup and doubles and had a $3 cat print. However, it took so long for the cat to print that the cashier had started ringing up the other person before it printed. Luckily she gave them to me. The other cashier laughed and said that the machines have been running about 1.5 min after the transaction. Glad I waited. Did this at the Albies on Barnes today, but no catalina printed. I'm ok with $.50 cereal, but I'm wondering how you knew about the catalina deal. AmyE: Catalinas that are triggered by a specific item (like Post Selects) always roll. Does anyone know for sure that these Cats will be rolling? Don't forget a while back there was a Smarsource IP floating around…$2/1 Honey Bunches of Oats Pecan Bunches. I still have 4 I plan on useing!